For the Audiences of Tomorrow. Harry Houdini is so famous, he's become a verb- Houdinise- meaning to release or extricate one's self from confinement, bonds or the like. A multi-award winning show! 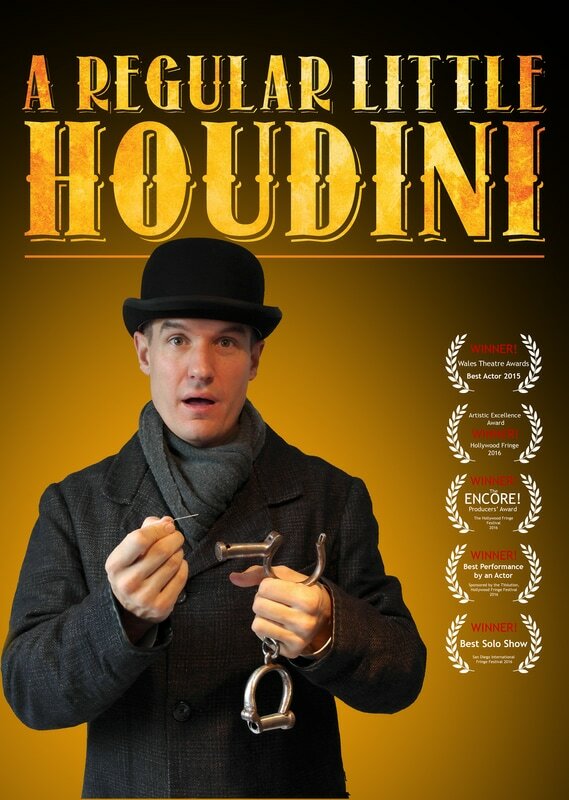 Edwardian Newport, South Wales: A dockworker's son, smitten by Harry Houdini, dreams of a life of magic. His parents struggle with their son’s eccentricity, but doggedly training himself to emulate his hero on the industrial detritus, his relentless ambition finally brings him face-to-face with the world’s greatest showman - and one of the most terrifying events in British industrial history. Is it possible to follow one’s dreams when poverty weighs you down like mud? An enchanting story that blends childhood imagination with the cynicism of adulthood. A tale of hope, determination & magic! Edgar Huggins, WWI veteran and the last surviving Durham Light Infantryman, speaks to his great nephew William from beyond the grave in a recorded interview. He talks about how he joined-up because he wants to work with horses, but finds himself on the front line. His account of Ypres and the Somme is honest and direct, but ultimately he holds his tongue. Why: For national security: To save his family the horror? This new play explores a soldier’s untold story, the guilt of the survivor and society’s need to create a hero. Not About Heroes is about the meeting and unique friendship between two of the Great War poets, Wilfred Owen and Siegfried Sassoon. In 1917 both were patients in Craiglockhart Hospital in Edinburgh, Owen suffering from shell-shock and Sassoon, a decorated war hero, was now a public dissenter, totally disillusioned by the futility and catastrophic slaughter of the trenches. Sassoon survived the war. Owen was killed just one week before the Armistice in November 1918. Not About Heroes tells of his journey to become a war poet, destined for posthumous greatness, through his relationship with Sassoon, their mutual hatred of war and belief in the power of poetry. 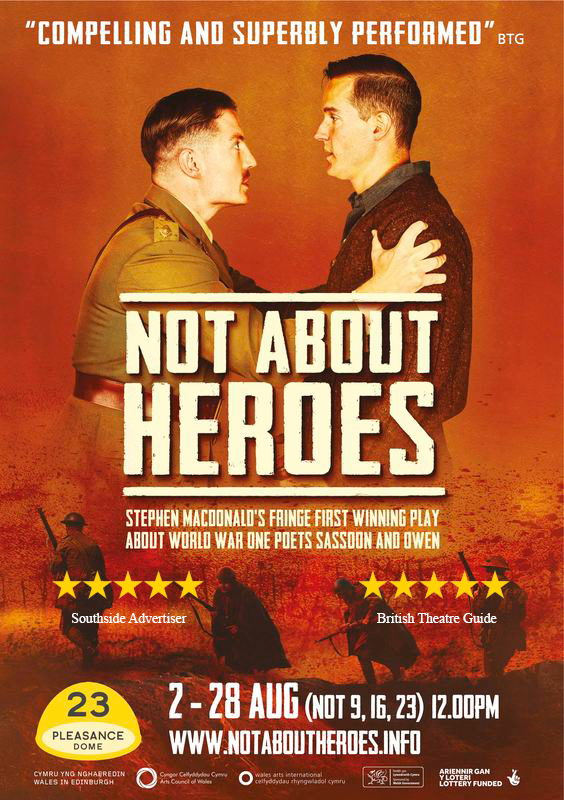 Winner of an Edinburgh Fringe First, And "Best Actor" in the Wales Theatre Awards 2015, Not About Heroes is powerful, moving and thought-provoking drama. 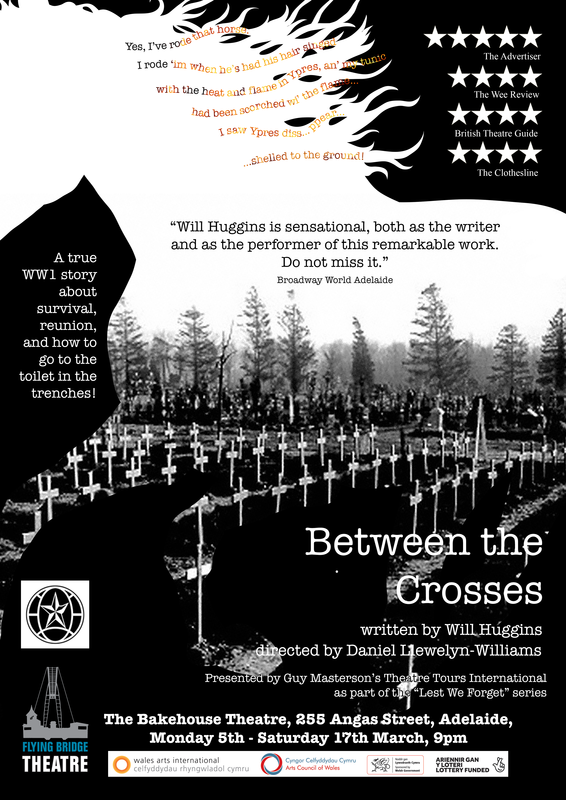 Staged to commemorate the First World War, this new production, based on the award winning Theatr Clwyd production is directed by Tim Baker. Flying bridge and Seabright Productions in association with Theatr Clwyd and The Riverfront are co-producing a UK tour of this production throughout 2017 and 2018. ​A Play with songs in development for national touring. A script in development for a large scale play with songs. 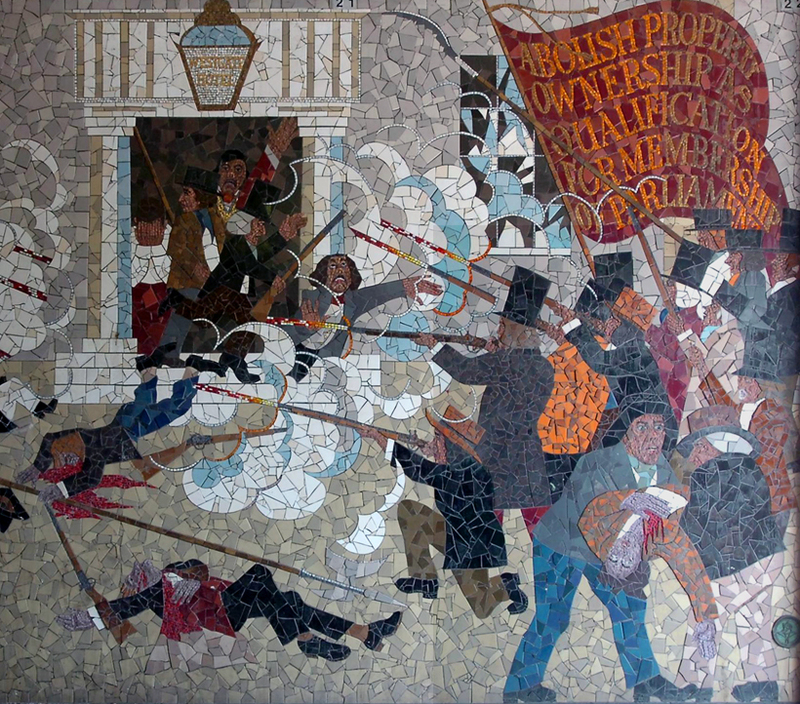 It surrounds the events leading up to the ill-fated Chartists’ march on Newport, the last armed uprising on British soil, told from the perspective of the youngest to die that day.